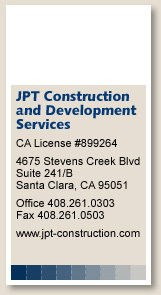 JPT Construction and Development Services provides all the pre-construction services required to correctly complete a project to insure it meets or exceeds the user’s needs. Our expertise to accurately calculate the project cost while determining the overall schedule is a proven benefit to our clients. Identifying materials and systems during pre-construction is a cost effective approach and also allows for the design team and client to make adjustments and intelligent and effective decisions. 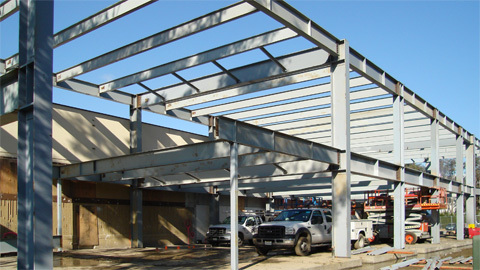 JPT Construction and Development Services' years of hands-on experience is truly beneficial in cost estimating. Our estimating procedures conform to the Construction Specifications Institute, accurately identifying all line items. We confidently provide estimates from schematics, rendering, conceptual plans and through design build development. Being part of the design team, JPT Construction and Development Services will explore every opportunity to reduce the overall cost, and not sacrifice the quality of the proposed construction project. We examine all alternatives, systems, and components considering the effects of every element. This enables the client / architect to make informed decisions allowing the team to control the cost and the overall schedule. Are all handled professionally to the highest standard in the industry. This is what our clients have learned to expect from JPT Construction and Development Services.